This is a very original Porsche 912 in the very desirable Bahama yellow colour. This classic Porsche 912 has minor imperfections in the paint and interior, but overall in great shape. This is not a show winner, but a very original 912 saving as much of the original parts as possible. This Porsche 912 gets lots of attention, and has great curb appeal. The car is drivable, runs and stops. 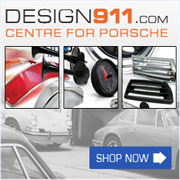 The Porsche 912 was built from 1965 - 1969 and was seen by many as a transitional model from the 356 to 911. It had all the modern developments of the 911 and the tried and trusted powerplant of a 356. The 912, powered by a flat four 1582cc 90bhp engine, was some 250 pounds lighter than a 911 and its handling characteristics were consequently improved. The 912 was a best seller and even outsold the 911 in 1966. Available as a Coupé or a Targa.